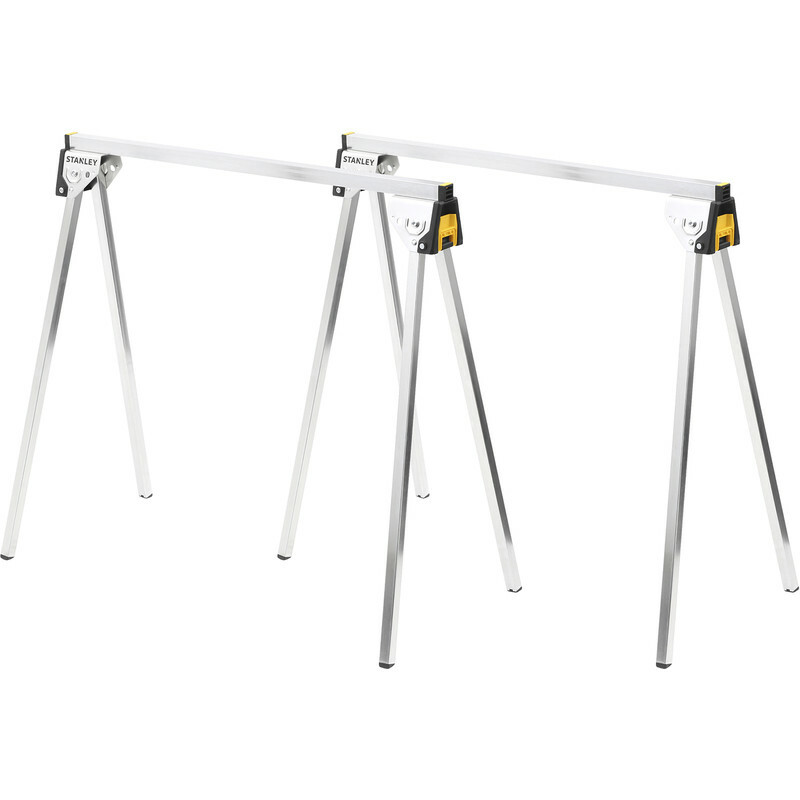 Folding legs for quick setup and breakdown, supports of up to 340kg (per pair). Metal bar for easy clamping. Can be clipped together and carried as a pair. Anti-slip rubber pad creates friction on surface while cutting. Dimensions when open: 73.6cm (H) x 42.4cm (W) x 85.5 (L). Dimensions when folded: 10.5cm (H) x 9.6cm (W) x 79.4cm (L). Dimensions when folded and clipped together as a pair: 20.7cm (H) x 9.6cm (W) x 79.4cm (L).